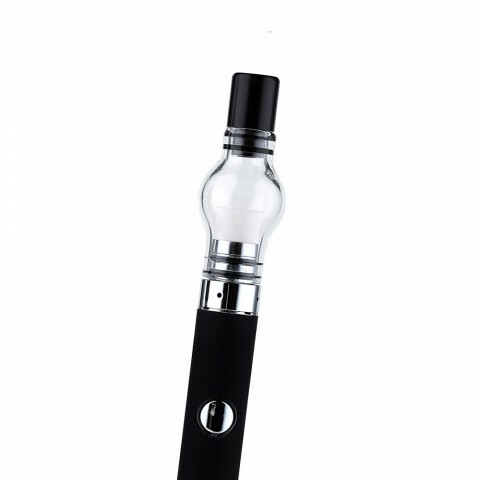 LTQ Vapor Mini Globefish Wax Tank is designed especially for LTQ Vapor Mini Globefish Kit. You will find it easy to clean the glass tank. LTQ Vapor Mini Globefish Atomizer comes with 2.2ohm ceramic coil, hence producing the original flavor and amazing clouds for your vaping. LTQ Vapor Mini Globefish Wax Tank is designed especially for LTQ Vapor Mini Globefish Kit. You will find it easy to clean the glass tank. LTQ Vapor Mini Globefish Tank comes with 2.2ohm ceramic coil, hence producing the original flavor and amazing clouds for your vaping. Come and buy one LTQ Vapor Mini Globefish Tank and start to enjoy your LTQ Vapor vaping. • You may have interest in other Tanks / Atomizers like WISMEC Neutron RDA Atomizer.